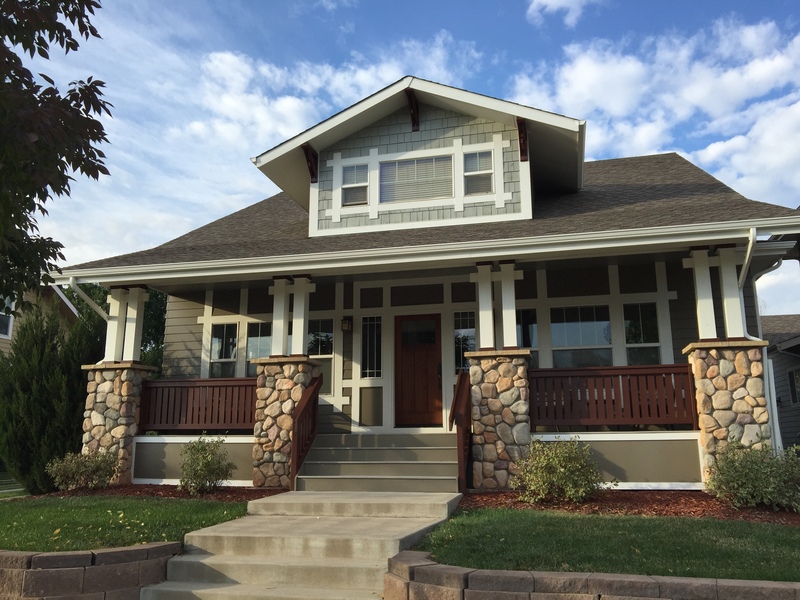 We are asked frequently for advice and insight into selecting colors for exterior house painting. Here are some things to consider when picking the perfect colors for the exterior of your home. Do you have an HOA (Homeowner’s Association) and do you need color approval?Many subdivisions are governed by HOAs and color committees that require approval prior to painting (or you can face big fines). Are you planning on staying in your home long-term or selling soon? If you are selling soon, consider a classic color scheme. Colors in the earth tone and beige pallets with a simple white or cream color trim tend to be more appealing to buyers. Is your color scheme one that is a fad and will quickly become unpopular or less trendy? Darker and richer colors tend to fade faster and require repainting sooner. They also make houses appear smaller, and can potentially attract more heat to the surface of a home. Colors on a small swatch tend to darken up when painted on a larger surface. How much contrast do you want between your body and trim color? We suggest choosing paint colors with a noticeable difference between your body and trim colors. Have you considered an accent color for any key points of the home such as the front door, accent pieces, etc? Colors like reds, dark browns, purple, and other rich and bold colors make nice accents. Yellow is a difficult color for two reasons. First, yellow often appears less rich and less bright on a larger scale, like on a home than it appears in a small sample size. Yellow is also a lighter color which makes it difficult to cover existing paint colors. We hope these have been some helpful tools and questions to help you select the perfect exterior paint color for your home.